Water is a major building block for cells in every mammal – dogs included. If your dog won’t drink water for any extended period of time, it’s easy to freak out and jump to the worst-case scenario. The truth is, there’s a good chance the solution involves a very quick fix. 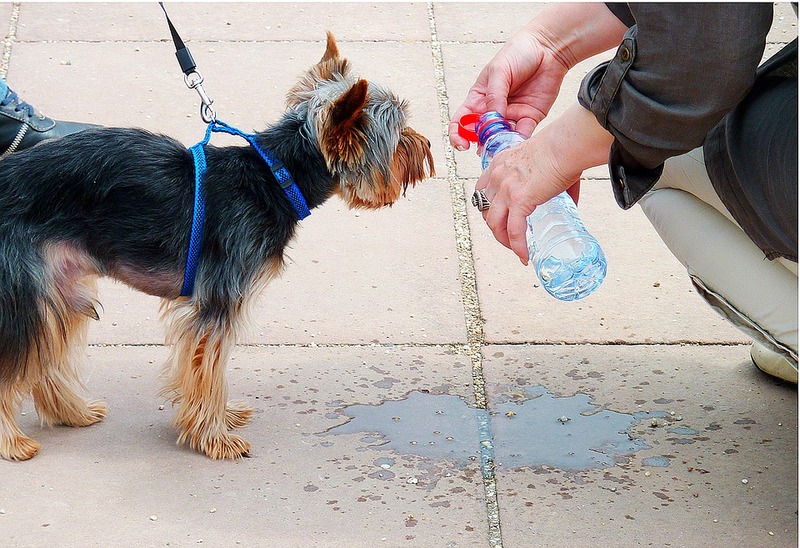 But that doesn’t mean your dog’s lack of thirst isn’t something to take lightly. The key is to figure out what the problem is and target it at its source. First things first: let’s figure out if your dog requires immediate medical attention. Many people may not realize that dehydration in humans and animals is a medical emergency. If your body is deprived of water for an extended period of time, you’ll need medical intervention in the form of IV fluids. Chugging a glass of water won’t do the job. Even the most caring dog moms and dads can’t monitor their furry kids 24/7. You may not even realize your dog isn’t drinking water until a full day has gone by and you see that her bowl is still full. Then you start monitoring her habits and notice she’s not drinking any at all. Before we go over why your dog won't drink water and how you can fix the issue, let’s make sure she’s not suffering from dehydration. To check your dog’s skin elasticity, give her a gentle pinch. If the skin quickly returns to its original shape and placement, her skin elasticity is good. If the pinched skin retains its shape and takes a long time to sink back down, her skin elasticity is bad. Don’t forget to check her gums. Brush your finger along your dog’s gums. They should feel moist, smooth, and possibly slimy – just like yours. If her gums feel sticky, dry, or tacky, this could suggest she’s dehydrated. If you suspect your dog is dehydrated - you should get her to a vet immediately. In other situations, you can attempt to remedy the dehydration with Pedialyte but this won’t work if your dog won’t drink water to begin with. Your dog isn’t dehydrated – and that’s great – but now you need to figure out why she won’t drink water. There are a few possibilities here. Let’s start with the most common problems and easy solutions before moving to the more serious possibilities. As we all know from movies, TV, and literally everything we’ve ever read about dogs, they have finely tuned sense of smell. If something is even slightly off about the water or dish, your dog won’t drink the water. There’s also a possibility your dog just feels uncomfortable with the water dish or her surroundings for some reason. If you haven’t moved recently and you’re having this issue at home, it might be a good idea to have your tap water tested. 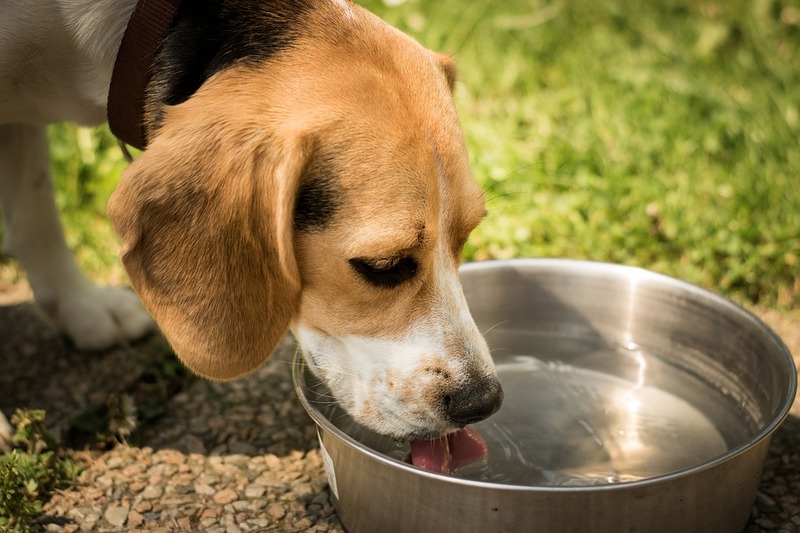 It’s natural for dogs to drink more water during the hot summer months – especially if they’re running around outside in the yard. If the temperature recently dropped and your dog is spending more time inside, that might be why she’s not drinking enough water. This problem happens in humans all the time: people age and their sense of thirst diminishes or they forget to drink enough water. This could very well be the case if your old dog won’t drink water. 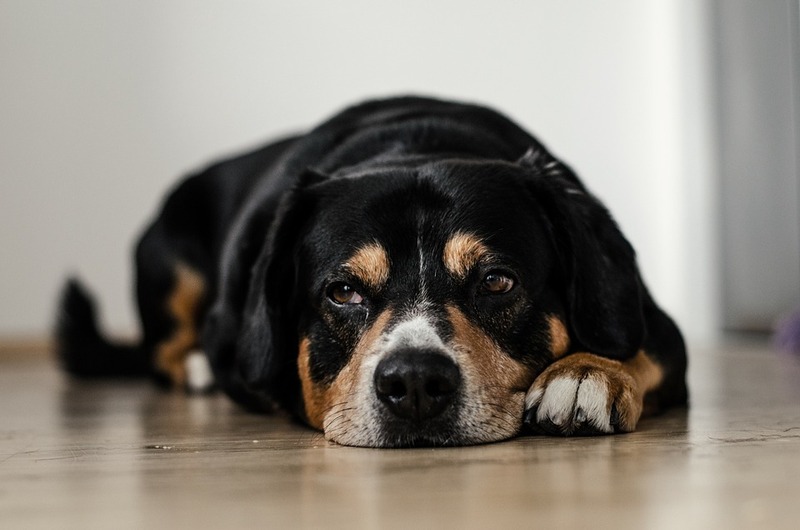 Plus, old dogs who are in pain may not want to go through the hassle of carrying themselves to a water dish – or the backyard to urinate when it’s time to go. Anything causing pain in your dog’s mouth may make her want to avoid the water dish. 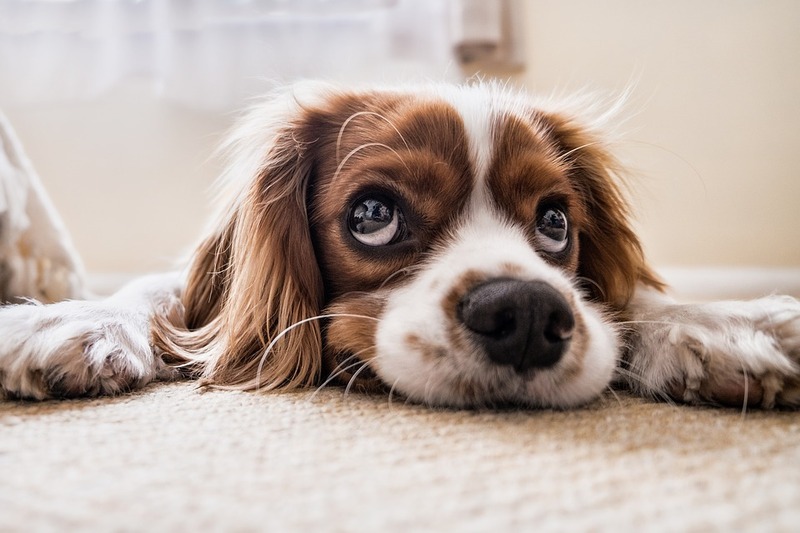 Just like humans, a lot of things can go wrong in terms of your dog’s oral health like periodontal disease, tooth decay, abscesses, oral cancers, dislocated teeth, injuries, and fractures. If you’ve ever had a UTI, you probably wanted to avoid drinking water so you could avert the pain, right? Your dog could be doing the same. Senior female dogs are particularly at risk for UTIs but no dog is completely immune. Look for other symptoms like trouble standing while urinating, urinating inside the house, blood in urine, and yelping or appearing to be in pain during urination. Other health issues like kidney, liver, or stomach conditions could be why your dog won’t drink water. Look for behavioral changes as well. 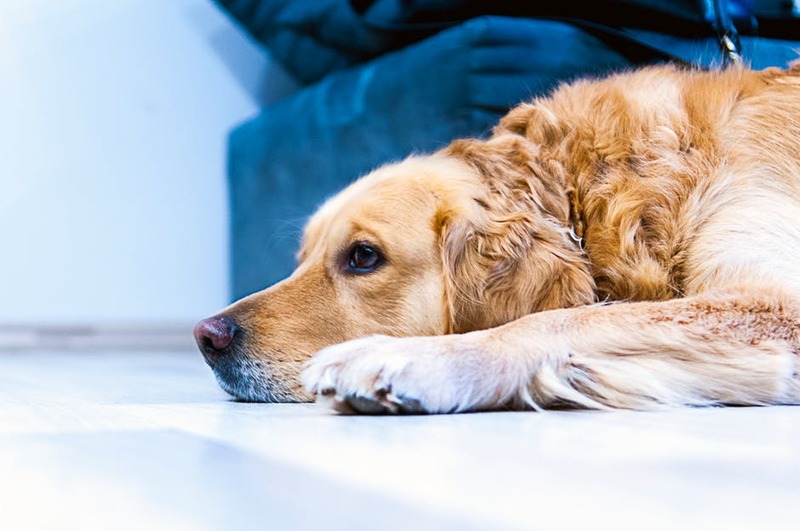 Does your dog seem depressed or anxious? Is she acting strange in any way? If something seems off, it’s probably best to see a vet. If your dog won’t drink water, you don’t need to panic just yet. Sometimes the solution is as simple as making a few minor changes to your home or routine. Just use these tips to get your dog hydrated and on the path to good health again. If the water bowl isn’t perfect, your dog won’t drink water out of it. Here are just a few things that could be wrong in the eyes (and nose) of your dog. Maybe your dog doesn’t like the smell of her new bowl – give it a good cleaning with some baking soda to neutralize any odors and let it airdry outside. Make sure the bowl is the right size for your dog. If it’s too big or too small, she might not feel comfortable drinking out of it. Is the bowl dirty? It might need a good cleaning. Always clean your dog’s water bowl once every few days to prevent bacteria and mold growth. This is a classic trick for getting dogs to consume more water. If you usually only feed your dog kibble, try introducing some wet food – it naturally has a higher water content. In addition to feeding her wet food, you can add more water to her dish and mash up the food. She’ll “drink” more water without even realizing it. Vegetables tend to have a higher water content than other foods – plus they’re filled with fiber, vitamins, and nutrients. Include some veggies with wet food in your dog’s bowl like carrots, green beans, peas, and potatoes. Pineapple makes a healthy and hydrating snack. Due to their smaller size, dogs are particularly susceptible to dehydration from salty foods. Keep your dog away from chips, soups, bacon, deli meats, pizza, and anything else with high sodium levels. These aren’t the best human foods to feed your dog anyways because they can contribute to high blood pressure and heart conditions. Stick with hydrating fruits and veggies instead. If your dog won’t drink water, analyze her surroundings and see if there’s anything making it difficult for her to access the water bowl. If your dog is old or has low energy in general, she might be having trouble making it all the way to the water dish to drink. Place a few water bowls around the house – maybe one on each floor or next to her favorite place to sleep. Take water bottles and her familiar bowl with you when you leave the house together. Make it easy for her to drink water. We see horror stories in the hot summer months about dogs left in hot cars. Many people don’t realize that although the temperature feels cool outside, the windows in a car produce a greenhouse effect which skyrockets the temperature inside the car as it bakes in the hot sun. When it’s just 78 degrees Fahrenheit outside, a car can jump up to 100 degrees in minutes. And as one Detroit police officer learned, you can’t always trust technology to keep the car running and AC blasting. If you must take your dog with you to run errands, leave the windows all the way down and keep your dog leashed to something solid inside the car so she can’t run away. How Long Can Your Dog Go Without Water? Dogs can’t go very long without water: after three days, things will take a turn for the worst. Even a small drop in hydration can have negative effects on an otherwise healthy dog. If your dog won’t drink water and hasn’t consumed any water in 24 hours, you need to take her to the vet ASAP. Dehydration is a life-threatening condition for humans and animals alike. In most other cases, however, getting her feeling great again is a minor fix and nothing to worry about.